We’ve just arrived home after an inspiring weekend over on the beautiful inner Hebridean Island of Coll. 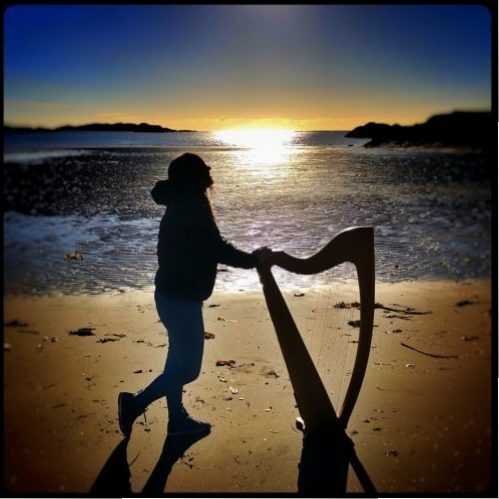 We were playing a concert for the Coll Music Group (thanks to Enterprise Music Scotland for making it possible) and we really did have a blast meeting the locals there and exploring the island. It’s a tiny place with just over 160 permanent residents and it takes nearly 3 hours on the ferry to get there. We had a bit of a shaky trip over there very early on Saturday morning but Sunday was just a stunningly beautiful day so it was perfect for exploring. We took the instruments down to one of the beaches and managed to film a few videos. Check out the first of them on the video page!